Ok, so this was a huge hit with our family and Fitzy & her boys! Fitzy started calling her boys Bubble & Squeak today because they kept talking about how much they loved it. Most of the time I let the grocery store inspire me in terms of my weekly meals. 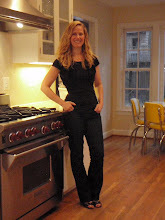 Whatever looks really good in the produce, fish, or meat departments is usually your best bet. 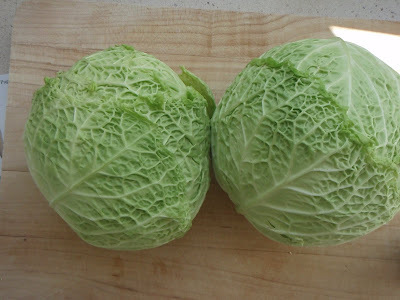 I saw the savoy cabbage the other day and just had to get some. 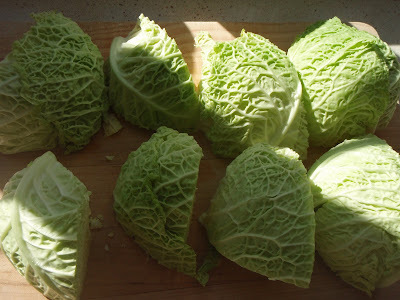 It is smaller than the normal green cabbage and the leaves are a little more tender. 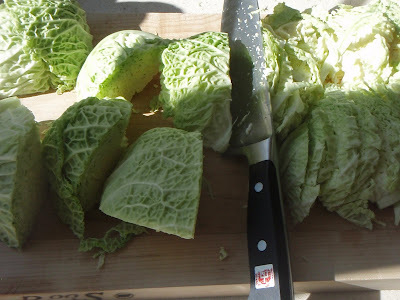 Savoy Cabbage is an excellent source of Vitamin C, A, and K! 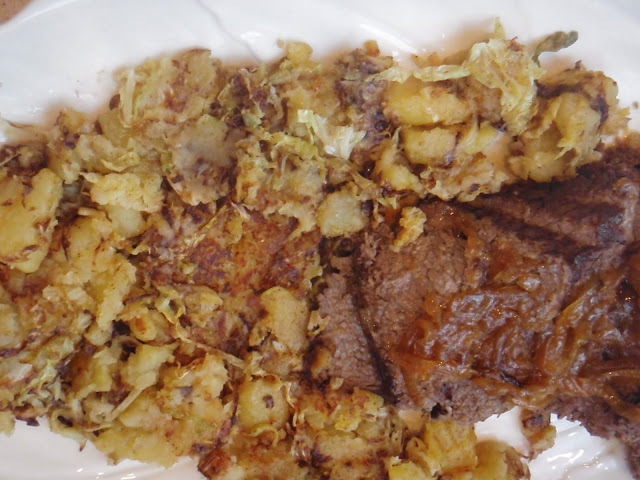 This recipe was super simple in terms of both preparation and ingredients --what's not to love? Cover potatoes in cold salted water by 1 inch in large pot and bring to a boil. Boil, uncovered, until tender when pierced with a sharp knife, about 20-30 minutes. 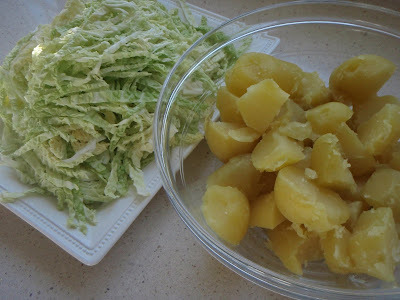 Drain water and peel and quarter potatoes. 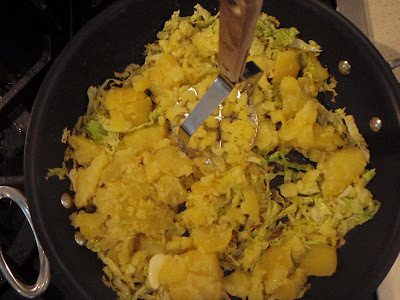 Add potatoes, mashing and stirring them into cabbage while leaving some lumps and pressing to form a kind of cake, add a couple more tablespoons of butter and salt and pepper. 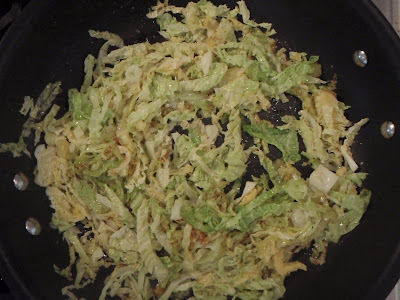 Cook, without stirring until underside starts to get a crust and turns golden, about 10 minutes. Flip over (may need to do this in portions) and cook the other side for about 5 minutes more. P.S. is that could work with any cabbage? 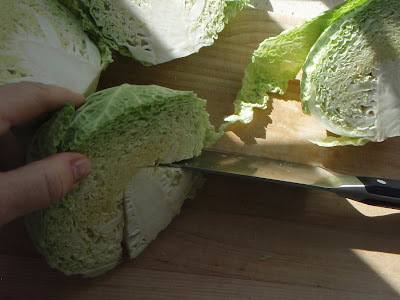 Yes-please try it with any green cabbage. Use as much or as little oil and butter to suit your taste. Thanks for commenting! Love it that you are viewing this from Israel! !